Why is it always the incredibly simple games that end up drawing me in the most? I dont know what it is about blitz type games that get me so addicted. Perhaps its the quick in and out nature of them, Perhaps its the simplicity of them, But more than likely its the fact that the all allow you to compete against your friends and I like to win! Diamond Dash is the latest one to come out and it really is a very simple little game. 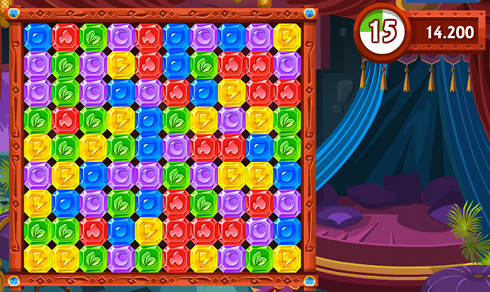 Find 3 blocks or more of the same colour on the screen and pop them. The larger the block the higher the score and that all you need to know. that and the fact that you only have 60 seconds to set as high a score as you can. 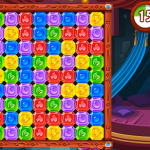 Later in the game you unlock power-ups, like bombs that will blow up blocks around them or some that add extra time to your clock.